The city of lakes and palaces, Udaipur is a scintillating jewel resting in desert. The marble palaces, placid lakes and beautiful gardens make this city a splendid paradise. Also known as the Venice of the East, Udaipur is one of the most sensual cities of India evoking relaxed calm in a traveller's mind. Main Attractions : City Palace, Lake Pichola. Geographic : Located in the heart of the Rjputana is one of the most beautiful cities in India, Udaipur. Famous As: Famous as the capital of the ancient Mewar. By Air : Udaipur is well connected to Delhi, Mumbai & Jaipur. By Road : Jaipur- nine hours, Ajmer- six hours, Jodhpur- eight hours. By Railways : Delhi - fifteen hours, Jaipur - ten hours. 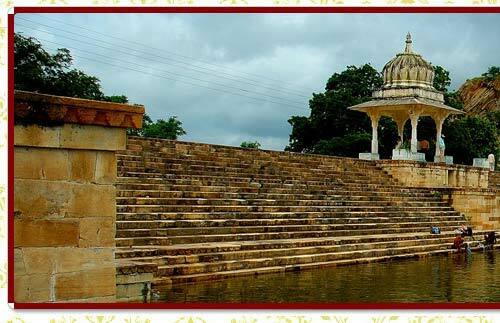 Udaipur, also known as the City of Lakes, was the historic capital of the former kingdom of Mewar in Rajputana Agency. Apart from its glorious history, culture and scenic locations, it is also known for its Rajput-era palaces. The Lake Palace, for instance, covers an entire island in the Pichola Lake. Many of the palaces have been converted into luxury hotels. It is often called the "Venice of the East" and is also nicknamed the "Lake City. Lake Pichola, Fatah Sagar Lake, Udai Sagar and Swaroop Sagar in this city are considered some of the most beautiful lakes in the state all of which can be enjoyed as part of Udaipur tour. Built by the Maharana Udai Mirza Singh as the capital of the Sisodia Rajput clan in 1559, after he moved from Chittor, it is located on the east bank of the Lake Pichola and has several palaces built within its complex. Udaipur was the historic capital of the former kingdom of Mewar in the Rajputana Agency and its last capital. The City Palace in Udaipur was built in a flamboyant style and is considered the largest of its type in Rajasthan, a fusion of the Rajasthani and Mughal architectural styles, and was built on a hill top that gives a panoramic view of the city and its surrounding, including several historic monuments such as the Lake Palace in Lake Pichola, the Jag Mandir on another island in the lake, the Jagdish Temple close to the palace, the Monsoon Palace on top of an overlooking hillock nearby and the Neemach Mata temple. 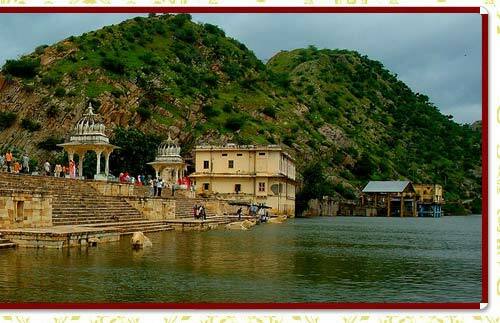 Situated in Udaipur city in the Indian state of Rajasthan, it is an artificial fresh water lake, created in the year 1362 AD, named after the nearby Picholi village. The lakes around Udaipur were primarily created by building dams to meet the drinking water and irrigation needs of the city and its neighborhood. Two islands, Jag Niwas and Jag Mandir are located within Pichola Lake, and have been developed with several palaces to provide views of the lake. Three of the numerous lakes found in the vicinity of Udaipur which connect with the Pichola lake and the Saroop Sagar Lake connected by an arched bridge built by Maharana Swaroop Singh (1842-1861) which in turn connects to the Fateh Sagar Lake, the crystal watered lake in the midst of tree lined hills and the smaller Arsi vilas.